← Short story writers wanted. Write a really good story inspired by this picture. I’d love to read it and to link to it if you publish it elsewhere or to publish it here. Mystery and crime novel reviews: I want to review realistic books that emphasize character as much as plot. Authors, leave a comment or email me. 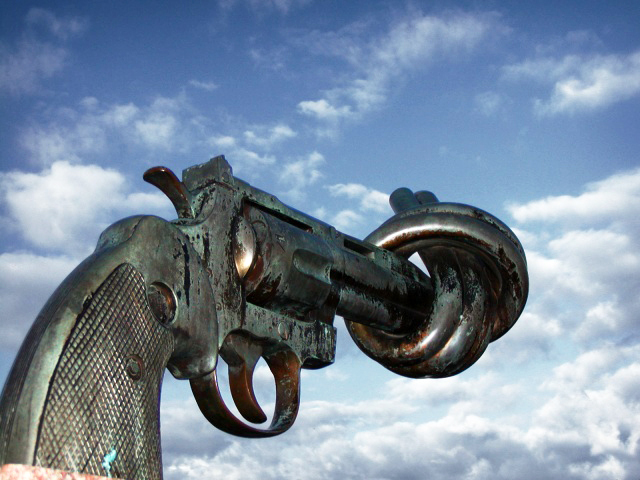 Carl Fredrik Reutersward’s sculpture “Non-Violence,” Malmo, Sweden, photographed by Francois Polito, from Wikimedia Commons.